Adobe made a big step today. 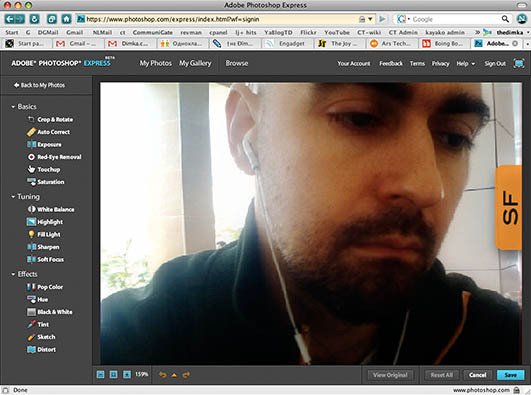 Online version of Photoshop Express. This is important because it is a very symbolic - a traditions desktop tool is getting to be a web app! Relevance of operating systems, local personal computers and large hard drives diminishes, and all new brave world of webapps is coming to eclipse it. it will take years. so did pc revolution. and now we are going back to mainframes. it is a spiral, or i'd even say fractal. borganization and freedom are heading our way.